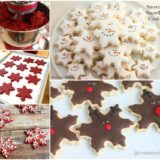 The beauty of our love for baking cookies is that there are so many seasonal and holiday themed options out there to try, making the process of discovering and trying new flavours a year-round joy. 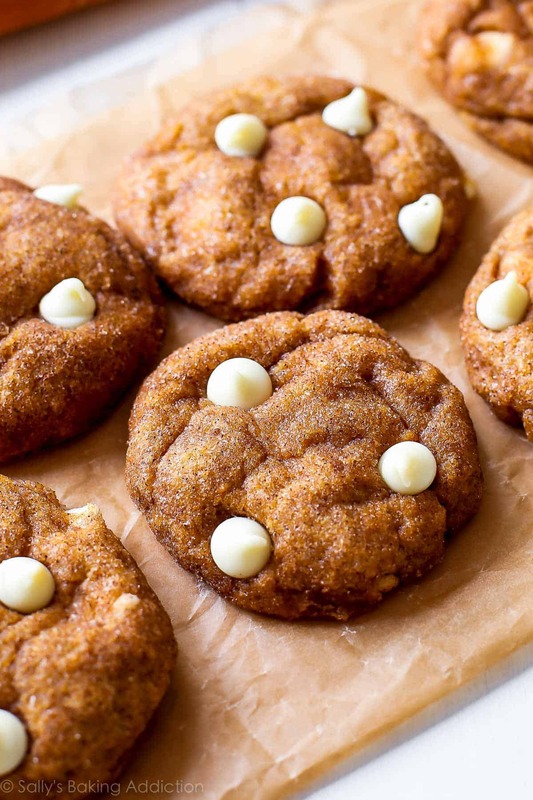 This fall, we’ve been obsessed with the idea of baking cookies that just taste like harvest, Thanksgiving, Halloween, and all the good things that remind us of autumn. 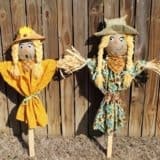 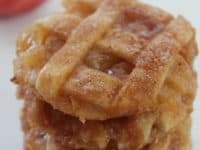 That’s why we’ve had out eyes peeled for new recipes that use certain ingredients and remind us of fall time childhood memories. 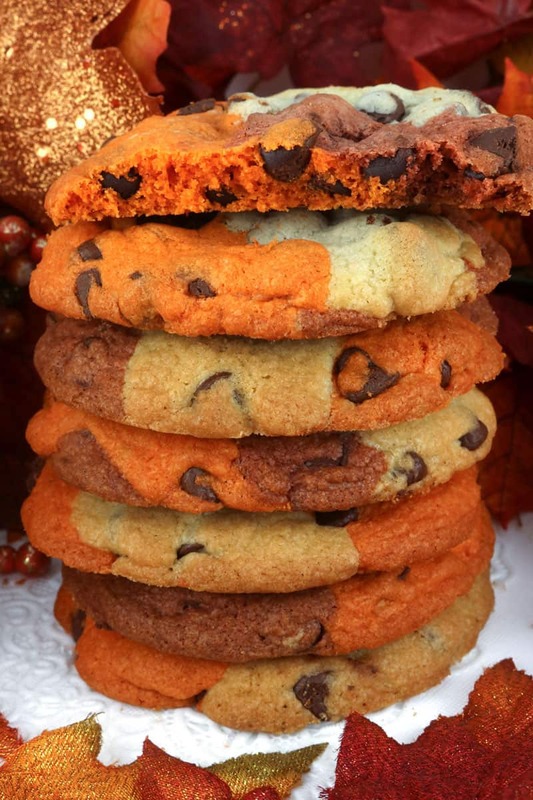 Just in case you love the idea of baking mouthwatering fall flavoured cookies just as much as we do, if not more, here are 15 of the very best autumn cookie recipes that we’ve come across in our search so far! 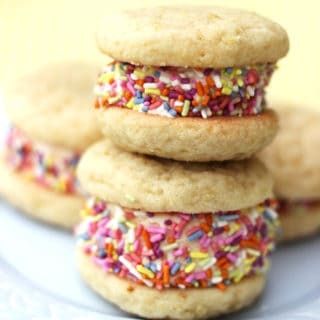 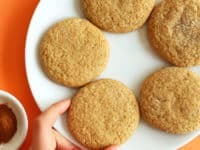 Snickerdoodles are a classic childhood cookie that we’ve always loved, no matter how old we’ve gotten, but loving the classic iteration of something doesn’t have to mean that you can’t put a cute flavour twist on it! 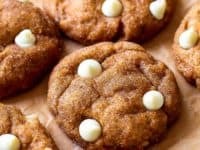 That’s why we were so pleased to stumble across this delicious white chocolate pumpkin flavoured snickerdoodle recipe from Sally’s Baking Addiction. 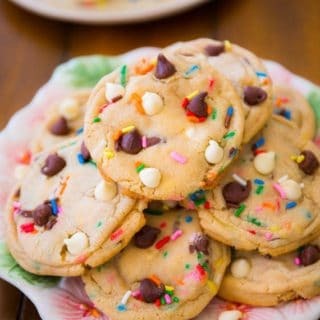 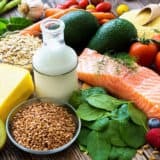 If you’ve been even half as enamoured as we have by the idea of combination treats and recipe that’s been so trendy lately, where the best parts of two different ideas are combined into one, then we have a feeling you’re going to love this recipe from Cincy Shopper just as much as we do! 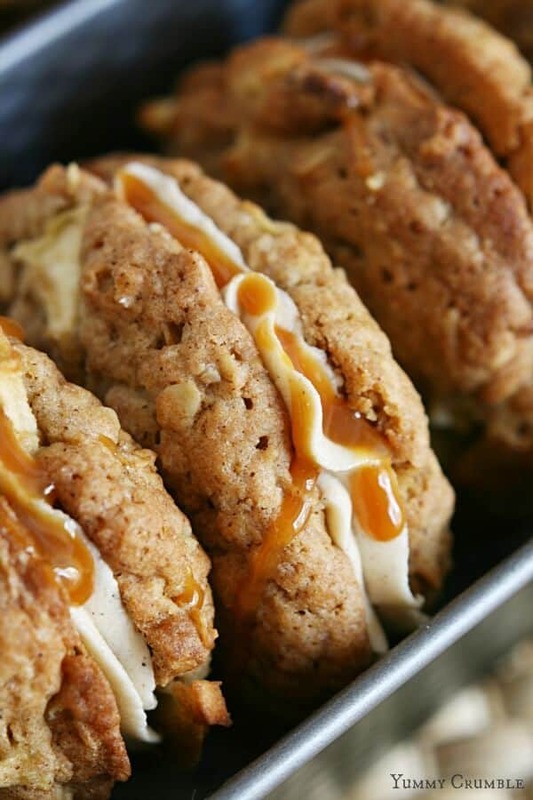 Check out how they made caramel apple pie cookies that are packed with fall flavour. 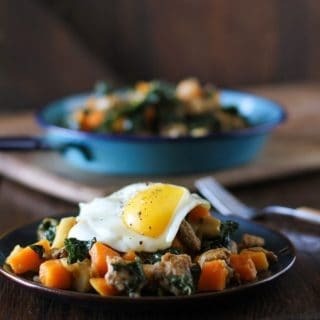 Just in case you’re a the kind of massive pumpkin spice fan who adores the autumn season for its popularity and waits all year for it to take the stores by storm again, here’s a recipe that lets you celebrate that flavour but with an even more delicious twist! 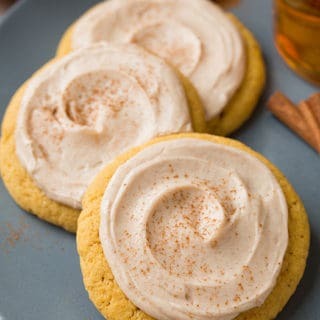 Two Sisters guides you step by step through the process of of making pumpkin spice cookies and smothering them with an awesome layer of cinnamon cream cheese frosting. 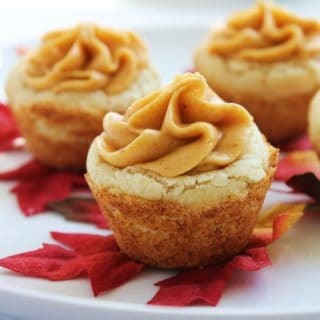 We’ve always loved peanut butter cookies, but once again, putting unique fall twist on some of our year-round favourites is something we get a real kick out of. 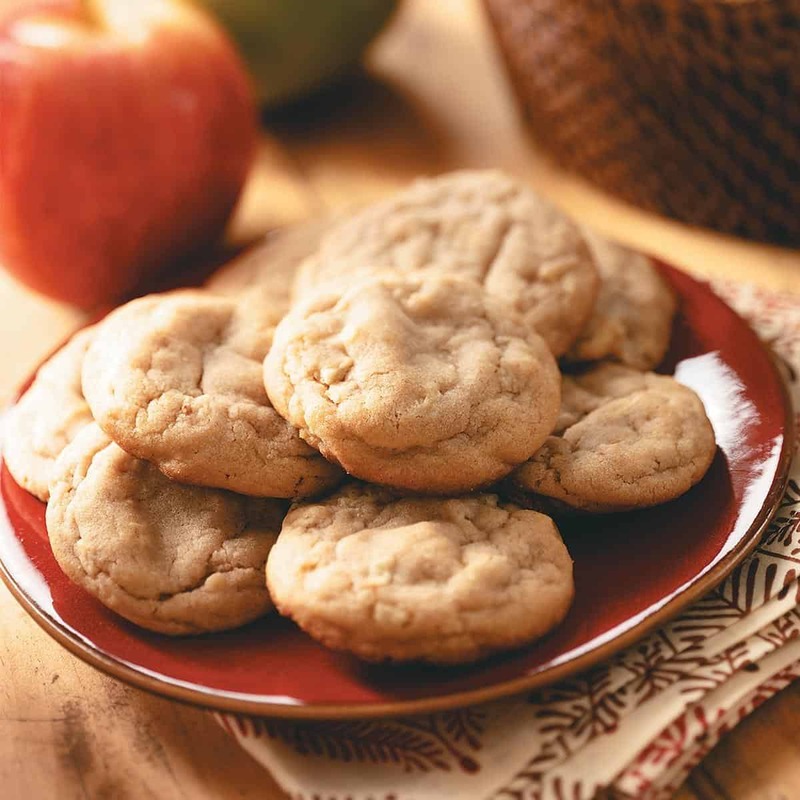 We doubt you’ll be surprised, then, to learn how excited we were about finding this delicious apple version featured in full detail on Taste of Home. 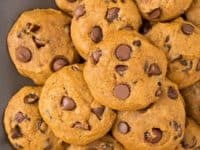 While we’re talking about putting pumpkin flavoured twist on things, have you ever thought about how it would taste if you switched up the delicious batter that you’d normally pour chocolate chips into? 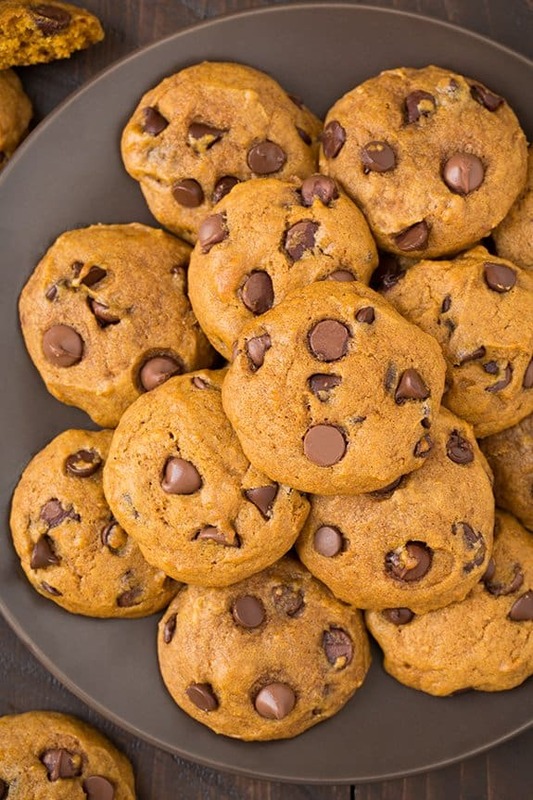 Well, we’re not sure you’ll find a more delicious option for doing just that than this fantastic pumpkin chocolate chip cookie recipe featured on Popsugar. 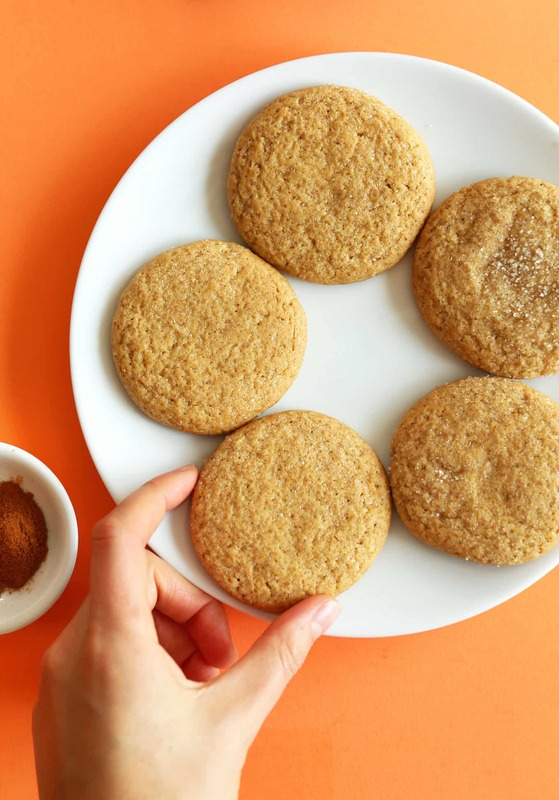 Not only does this recipe from Minimalist Baker show you how to make yet another delicious pumpkin version of a classic cookie (this time the sugar cookie), but it also shows you how to make them vegan! 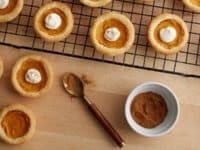 That way everyone can enjoy the deliciously sweet pumpkin flavour, no matter their dietary restrictions. 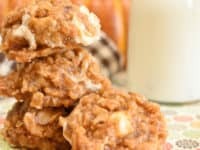 If you’re going to put the time and effort into making yourself some amazing fall cookies from scratch, would you prefer to really make them a little extra special, adding some kind of special element that most cookies wouldn’t have? 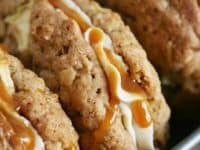 In that case, we’d definitely suggest taking a look at how Tastes of Lizzy T made these amazing cookie sandwiches that are caramel apple flavoured, with a completely delicious creamy filling in the centre. 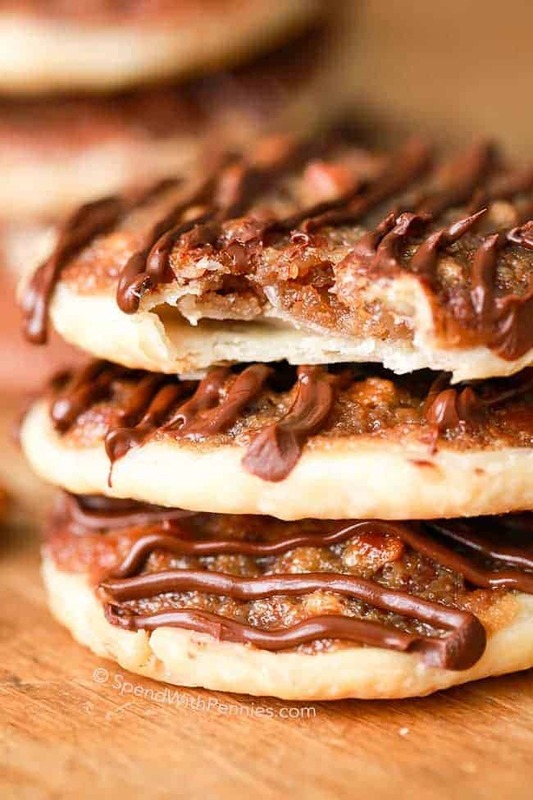 Did we really catch your attention when we started talking about pie flavoured cookies like the caramel apple pie idea we showed you earlier and now you’re wondering whether there might be other pie based recipe for you to try out there as well? 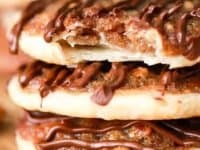 Then we have a feeling you’ll be very pleased indeed to discover this delicious pecan pie cookie recipe featured on Spend With Pennies! 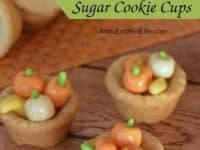 Just in case you’re still not done with the pie cookie idea (we’ll admit that it’s one of the best combination recipe concepts we’ve ever heard of), here’s another fall classic created in miniature, but with a cookie base! 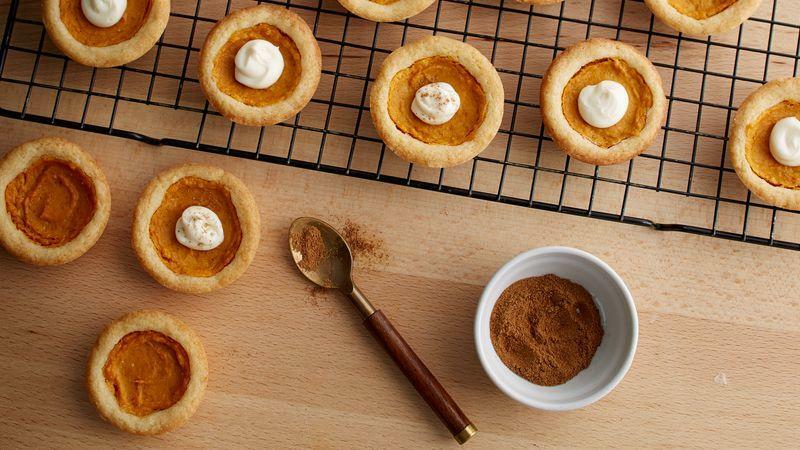 Get the full details for making these miniature pumpkin cookie pies thanks to Betty Crocker. 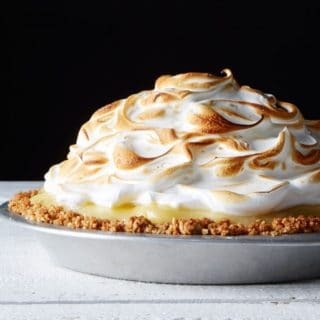 In the interest of keeping things interesting and giving you lots of options, here’s one last pie based cookie concept for your consideration. 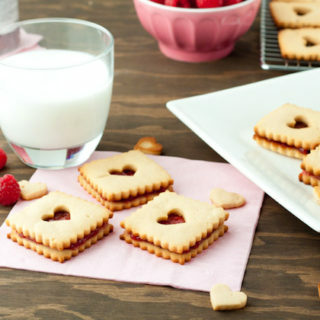 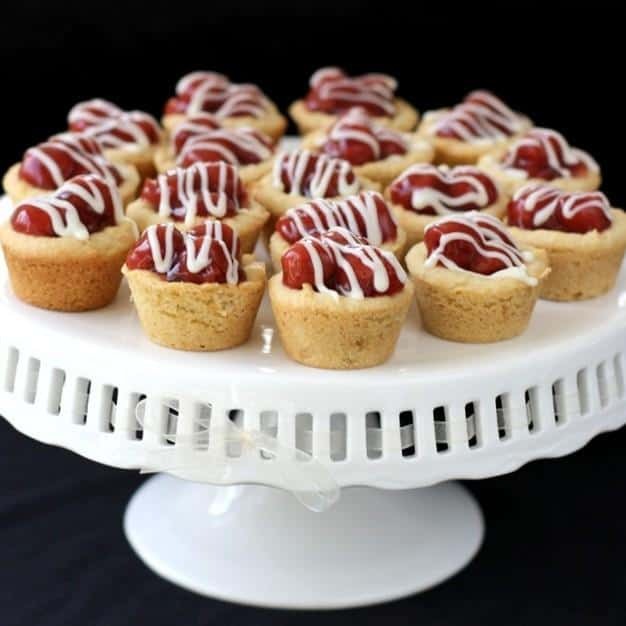 Check out how Butter With a Side of Bread made little cookie cups filled with cherries in order to create a cherry pie sugar cookie that’s so good we’ve already made it twice this season alone. 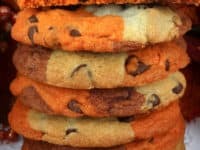 Perhaps the idea that really took your attention the best on our list so far was the pumpkin chocolate chip cookie recipe that we showed you above, but you’re still open to other chocolate chip based ideas as well? 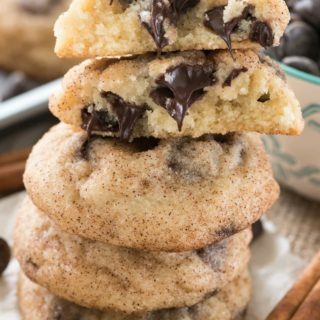 In that case, we’d absolutely suggest taking a look at how Two Sisters made these harvest marble chocolate chip cookies that not only taste great but also involve cute fall colours so they really look the part as well! 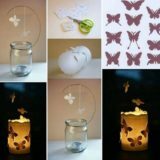 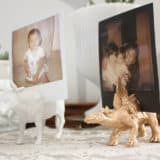 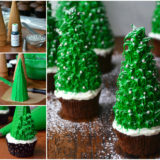 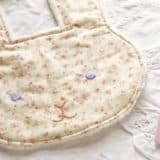 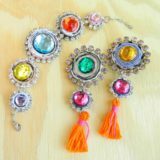 Are you actually quite an experienced baker who has been feeling very interested in practicing your baking detail and making little icing decor pieces? 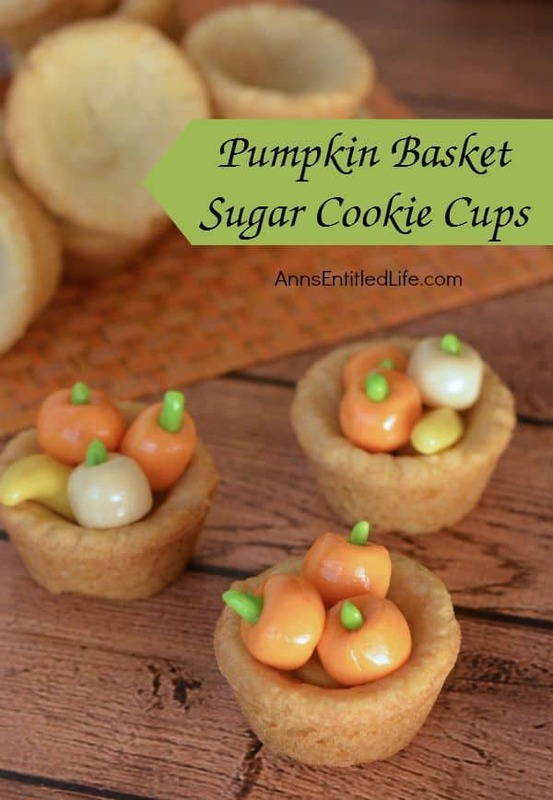 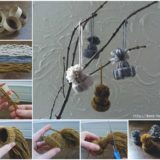 Then we think you’ll get a huge kick out of the way Ann’s Entitled Life did just that in creating these adorable little sugared pumpkins and piling them into sugar cookie miniature cups, like a basket of freshly picked fall pumpkins. 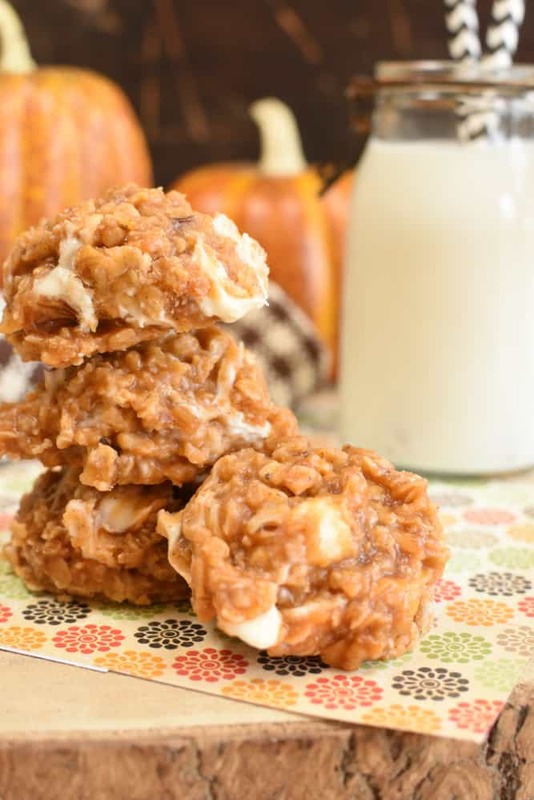 We recently tried no-bake cookies for the first time and, even though we were skeptical in the beginning because we’re such classic baking enthusiasts, we were beyond pleased with the flavour of these delicious pumpkin creations from Little Dairy on The Prairie! 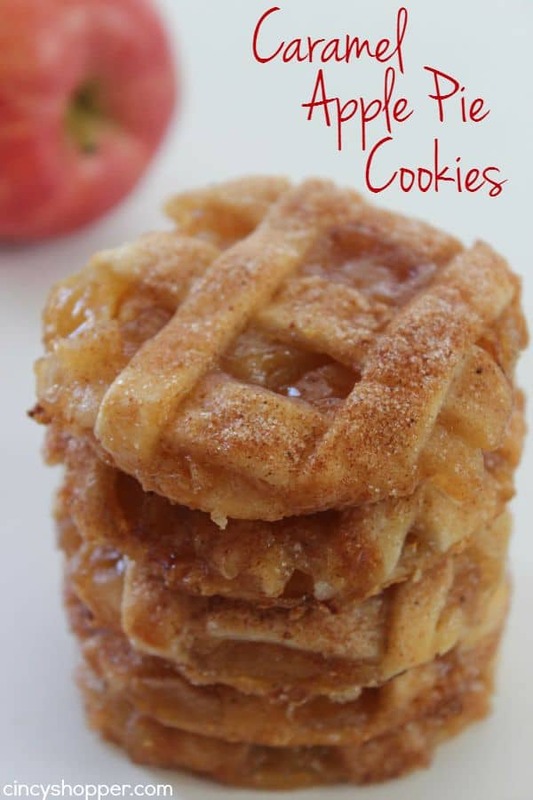 Take a better look at their recipe to learn how they’re mixed and why they’re no-bake. 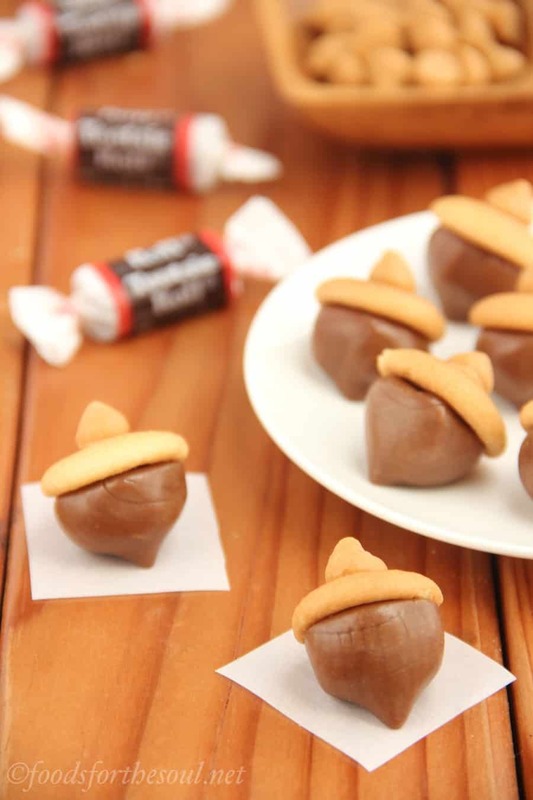 Have you actually been scrolling through our list and thinking about how, even though you really adore classic fall flavours and traditional dessert ideas, you’re also a huge fan of Halloween candy, so you’re wondering whether those concepts can all be melded into one scrumptious treat? 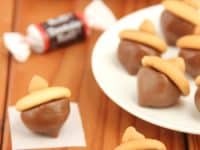 In that case, we’d definitely suggest taking a look at how Amy’s Healthy Baking made these fantastic Tootsie Roll acorns using actual Tootsie Roll candies and some sugar cookie batter. We’ll be the first to admit that we’re huge gingerbread fans but, where we come from, it’s actually more of a winter and Christmas holidays thing, despite the fact that we usually sneakily start baking gingerbread cookies way earlier than you’re “supposed” to. 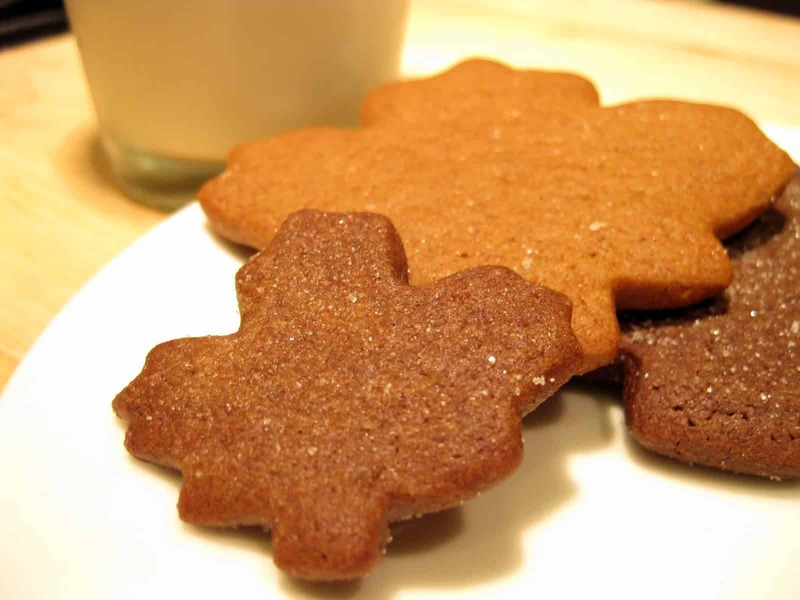 Imagine our excitement, then, when we came across this leaf shaped gingerbread recipe on Baker Gal that’s specifically meant to be made in the fall!